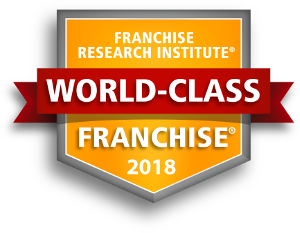 LINCOLN, NE (September 18, 2015) – CMIT Solutions® has received World-Class Franchise® certification from the Franchise Research Institute®. CMIT Solutions provides systems to deliver information technology to small and medium-sized businesses. As a franchise company, CMIT Solutions’ goal is to empower people to become successful entrepreneurs. The recognition comes after an independent franchisee validation survey conducted by the Franchise Research Institute, in which a significant portion of all CMIT Solutions franchisees participated. The survey was designed to determine the quality of 10 key metrics crucial to franchisee success within the CMIT Solutions franchise system. The survey asked CMIT Solutions’ franchise owners to rate their franchisor through a series of questions in categories such as overall quality, growth potential, support, and communication. 98% gave a positive rating to the overall quality of the franchisor. 99% responded positively to the products and services received from their franchisor. 99% gave a positive grade to the collaboration between fellow franchisees. 97% gave a positive rating to the quality of the marketing collateral provided by the franchisor. 95% gave a positive rating to the opportunity provided by the franchise system.